This post has already been read 458 times! KEARNEY – Construction fence and heavy equipment continues to be a common sight on the University of Nebraska at Kearney campus as work progresses on several major projects. The improvements, highlighted by the new STEM building and LaVonne Kopecky Plambeck Early Childhood Education Center, represent a significant investment in UNK and the state of Nebraska. The 90,000-square-foot facility located on the west side of campus between West Center and Ockinga is scheduled for completion in spring 2020. Concrete footings, foundation walls and the elevator shaft are complete, and the steel frame for the building’s north section is in place. Crews are currently erecting the steel frame for the south section while continuing work on the north side. The $30 million building, part of the Otto C. Olsen replacement project, will promote collaboration and innovation across numerous academic departments and feature cutting-edge technology. Construction management, industrial distribution, interior design, aviation, cyber systems, mathematics and statistics, physics and astronomy and engineering will be located there. It is paid for by renewal bonds and through state appropriation from LB858, the University of Nebraska Facilities Program of 2016. That appropriation directed deferred maintenance funding to facility replacement projects, including the Otto Olsen building. 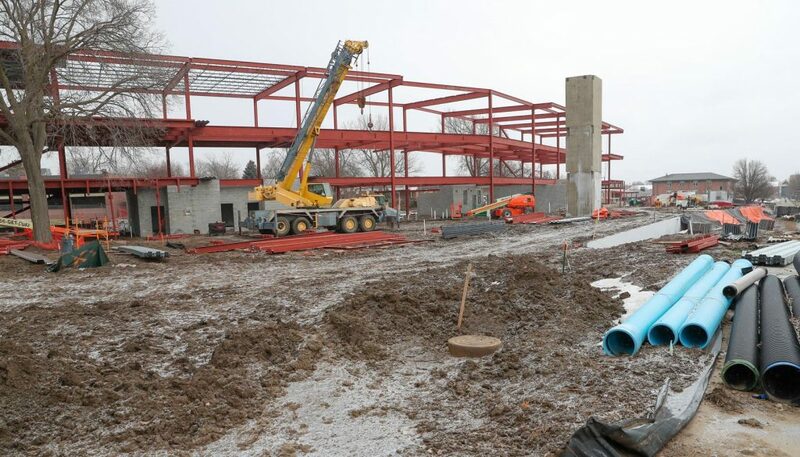 The Early Childhood Education Center, named after longtime early childhood education advocate LaVonne Kopecky Plambeck of Omaha, is taking shape on UNK’s University Village development just south of U.S. Highway 30. 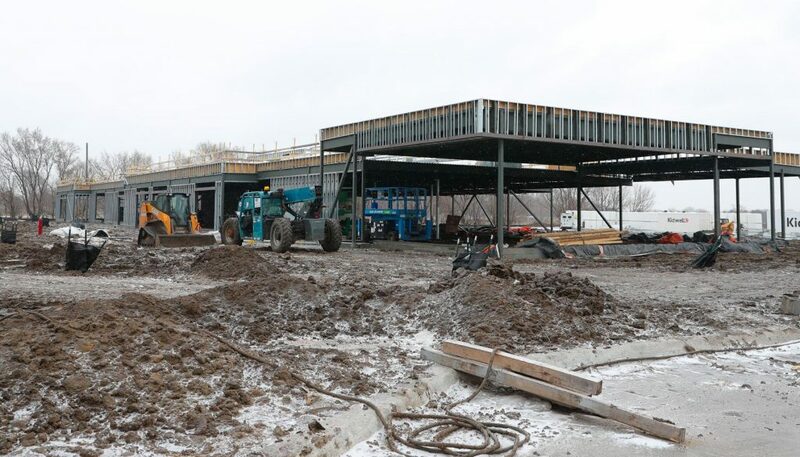 With the parking lot and steel framing complete, workers are shifting their focus to the exterior walls, roof and shade structures, as well as HVAC, electrical and plumbing installation. The $7.8 million, 19,900-square-foot building, located just south of the Village Flats residence hall, is expected to open in fall 2019. It replaces the Child Development Center in the existing Otto Olsen building. In addition to training undergraduate and graduate students, the facility will foster academic research and serve Kearney-area families by providing early education for children up to age 6. The building is funded by state funds through LB 957 and dedicated facility funds from the Plambeck gift. Part of the $30 million Otto Olsen replacement project, upgrades to the Fine Arts Building are expected to be finished this summer. Exterior components of the south addition are complete, and interior framing and drywall, mechanical, electrical and plumbing installation are underway. The addition, located in the former courtyard, will house the drawing and painting studios and classroom space. Phase two of the project includes an addition and renovation on the building’s northwest corner. This area will house the glassblowing lab presently located in Otto Olsen, as well as woodworking and metalworking studios. The entire project adds about 5,500 square feet to the Fine Arts Building. Cope Fountain, located on the east side of campus between the Nebraskan Student Union and Calvin T. Ryan Library, was removed last year as part of a sanitary and storm sewer project. 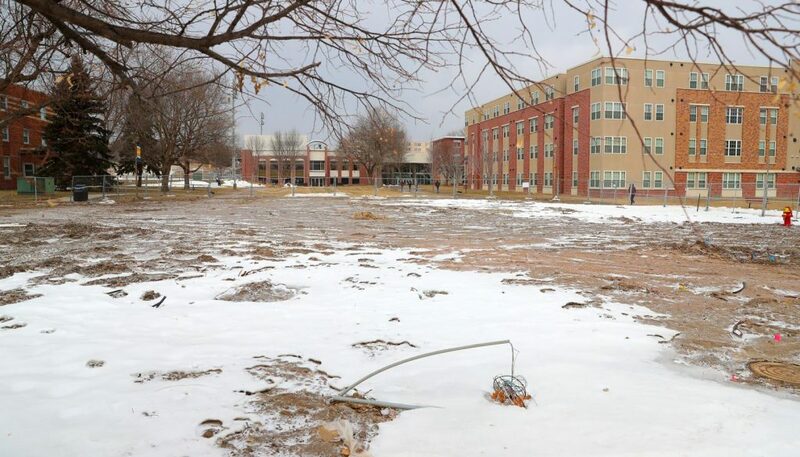 An aging sanitary sewer line that serves the student union and multiple residence halls and academic buildings has already been replaced, along with adjacent storm sewer lines. UNK is currently reviewing bids to replace Cope Fountain, which was dedicated to the university in 1995. A new fountain, upgraded to be more of a year-round feature, will be installed in the same location. Plaques, donor bricks, benches and branding elements will also be reinstalled. That project is scheduled for completion in August. The University of Nebraska Board of Regents approved the total project – fountain and storm sewer work – at a cost of $3 million, with funding coming from utilities savings generated by UNK conservation efforts. A more accessible and more attractive main entrance to Warner Hall will be ready in early spring. 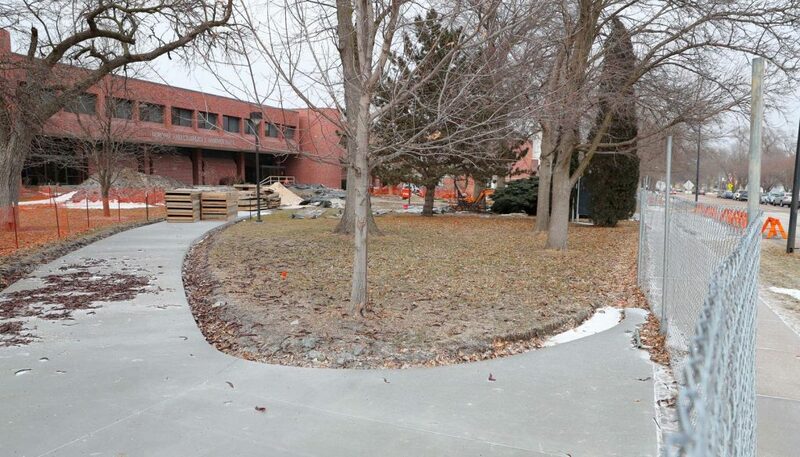 New sidewalks and a concrete ramp – replacing the wooden ramp – were installed on the building’s east side, and stairs and railings will be added soon. New light poles will also be installed and landscaping will occur as weather allows. Warner Hall, located along Ninth Avenue on the east edge of campus, houses administrative offices, the registrar’s office and the departments of math, criminal justice, social work and political science. 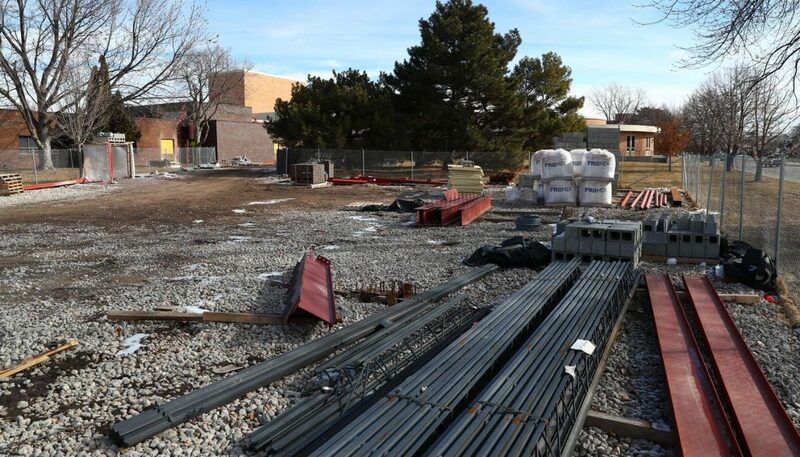 Some academic departments will relocate to the new STEM building when that project is completed.